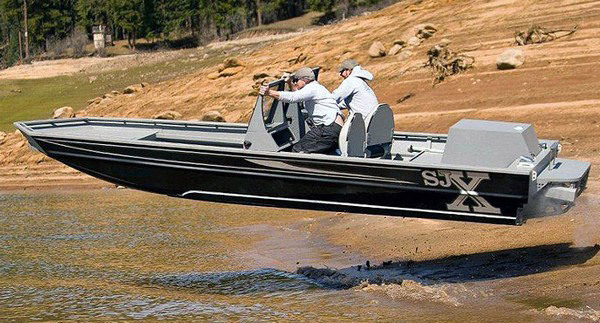 The SJX 2170 Jet Boat is our most popular model. It provides the nimbleness of a smaller light-weight boat with the versatility of a cargo boat due to its hauling capabilities. The SJX 2170 is the jet boat that will get you where you what to go. No question! 5052-H32 Alloy Temper used for most construction except where specified. All floors and deck hatch lids coated with bed-liner material also with sound deadening insulation. Zero Alum to Alum contact between boat subfloor and flooring! Triple bulkhead cross floor construction, 28 cross floor braces @ 16 inch centers, .125 (1/8 inch) thick channels 6063-T6 Alloy Temper, bulkhead plates .166 (3/16 inch) thickness. 6 full length standard hull stiffeners ( 2″ channels), 6063-T6 Alloy . ZERO SKIP WELDING ON ALL FORWARD TO AFT HULL STIFFENERS & BOX RUNNERS. FULL LENGTH CONTINUOUS WELDS!!! (Or CONTINUOUS FULL LENGTH WELDS!!! Custom “SJX” instrument and switch panel. Complete “Smart-Craft” multi function Instrument Package. *All Mercury Sport Jet engines are equipped with a additional on-board “Siphon Bilge” system, if there is water in your bilge and the motor is running it also is siphoning the water out. **NEW – 4 inch Blower and stainless cowl vent system to accommodate NEW USCG ventilation regulations and standards. Dual Console assembly, 3 piece windshield with center walk-thru, upper and lower console doors for easy access, passenger side glove compartment passenger side, storage step box, .125 (1/8 inch) thickness, 5052-H32 Alloy Temper, solid bulkhead type construction yet still removable “Zero Flex”. 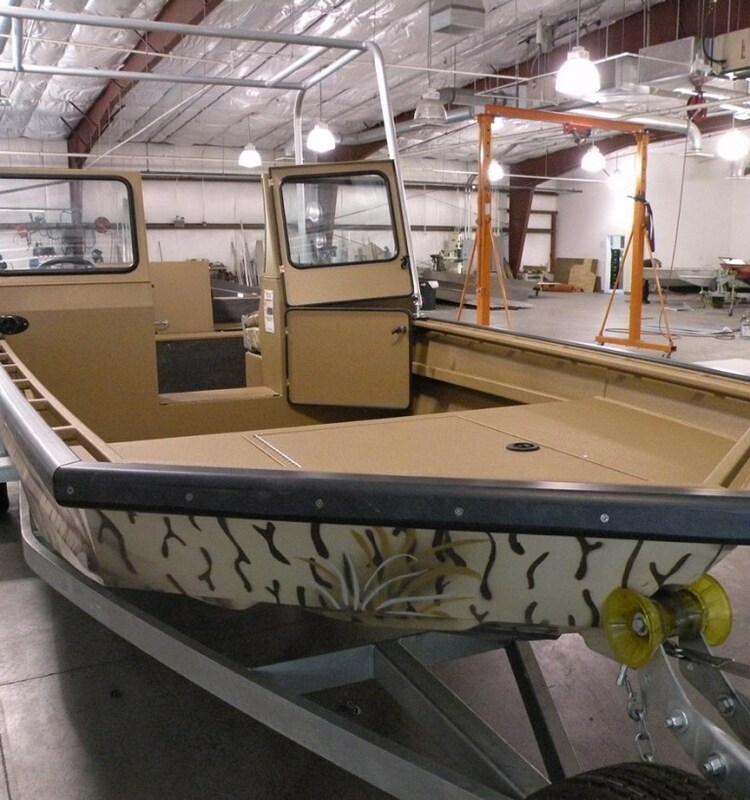 The boat’s exterior is wrapped with a pattern or color of your choice from our standard options or custom ones, including standard graphics. The entire “Interior” bed-liner coating is a color option as well. A nice feature about our bed-liners is you can purchase one of our bed liner kits and do a repair at your home or shop. Center Hull Stiffener “C” Channel. Outer Receiver Hitch Socket 2 inch square tubing, .250 (1/4 inch) thickness, 6063-T6 Alloy Temper. Entire “Interior” bed-liner coating with color choices.